I was interviewed by Channel 7’s Daily Edition recently after the findings of a worrying report were released. The report, produced by University of Western Sydney, showed that over 500,000 Australian women are drinking to dangerous levels. What is also worrying is that despite falls in other age groups, women in their 40s continue to drink at the same levels as they have done for the past decade. Simply put, life is increasingly stressful. And most women in their 40s drink because of anxiety based triggers. You get to the end of the day and you want the fastest way to relax. Cue the glass of wine! So what are the safest drinking levels? The myth has been that 2 standard drinks per day is a safe limit (and it is to a degree). However, medical professionals are now saying that the safest consumption limit is nil. Even if you ignored the latest research in the belief that a moderate approach is okay, the biggest issue is that most women are not correctly measuring their drinks. Not many people would know that a bottle of red wine (being stronger than white wine) is equivalent to 7.7 standard drinks. And that the standard wine glass is 300ml. So two standard drinks is actually equivalent to 200ml or two-thirds of a typical wine glass. What is concerning however, is that most women are getting this confused with 2 glasses of wine. That means that they are in fact consuming double the recommended daily maximum. Over time, this can result in a number of physical and mental health issues. So that leaves us back where we started. If we’re drinking to relax, what do we need to do instead of this? Firstly, we need to identify why we’re drinking – is it stress, to relax, to unwind? If so, look at ways to reduce down your stress throughout each day. Be mindful, slow down, observe when you are at the most stressed then look at ways to prevent this from occurring. Find other ways to unwind at the end of each day. A great one is to exercise – go for a walk around the block when you get home as a way to unwind rather than reaching for a glass of wine. Substitute or alternate water for wine. This keeps you hydrated. Take stock. 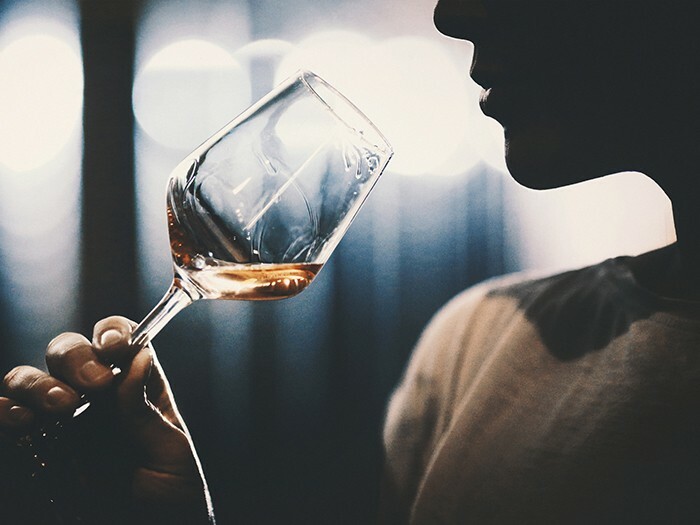 If cutting down on your daily wine-o-clock frightens you, you may want to consider seeking professional counselling to look at the underlying cause of your drinking. If you, or someone you know, is looking for guidance with their drinking consumption, contact The Whitehaven Clinic on 1300 766 925 or email info@whitehavenclinic.com.au.